Our foretastes of Kia cars continue. 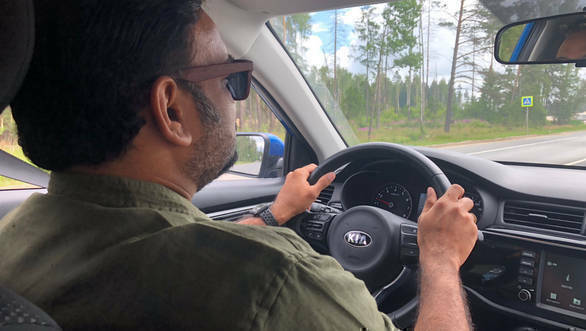 After driving the impressive Kia Stinger on the Autobahn last year and then taking the Sportage and Rio out for a spin in New Delhi, we went to Russia amidst the World Cup fever to drive the Sorento Prime and Rio X-line. 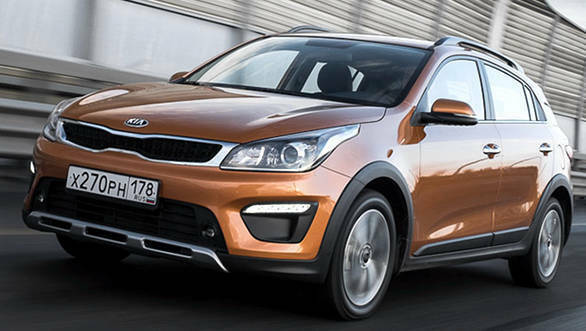 In theory, the Rio X-line is to the Rio hatch what the i20 Active is to the Elite i20, and then some. The Rio and the Elite i20 are platform siblings too, but the Kia Rio isn't a sub-four-meter hatchback. The Rio X-line is even bigger! Measuring 4240x1750x1510mm, it is 175mm longer, 25mm wider and 60mm taller than the Rio hatch and even boats of a 20mm longer wheelbase. 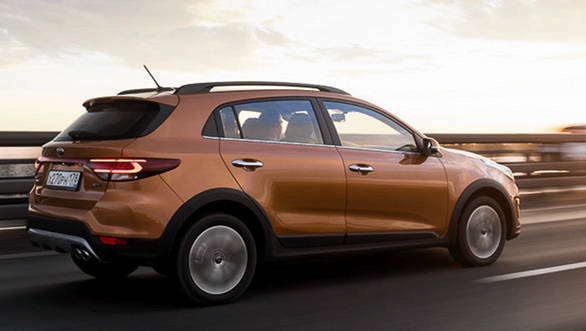 These dimensions give it a large, wide-bodied, and upmarket stance over the other premium hatchbacks that we have come to like in the Elite i20, Baleno and the Jazz. In fact, the Rio X-line is larger even than the Jazz, which we often like to call, a mini-MPV. So you get the picture - it's a spacious car. 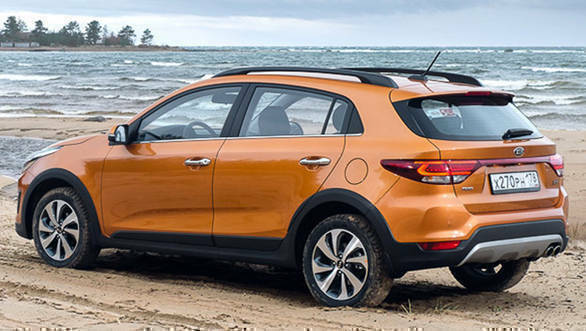 Compared to the hatchback, it wears more rugged body cladding all around, and hence the X-line suffix. The Russians particularly like that sort of a thing since it provides additional protection for the metal parts against corrosive debris that the region's snowy and rainy weather likes to kick up often. Think of it to be similar to a protective bumper for your phone's shiny bezels. To that effect, the Russian model is also offered with additional anti-corrosion treatment for the underbody. Looking at the flooded streets outside my window as I write this review, I would recommend Kia to give the same treatment to all cars that will go on sale in Mumbai, too. Things like the roof-rails and scuff plates complete the beefy look. 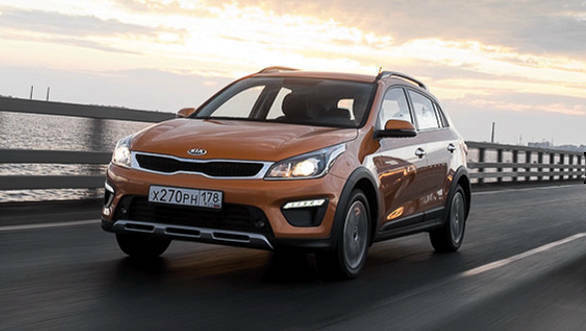 The Rio X-line also rides higher than its hatchback counterpart sitting on a 170mm ground clearance compared to the hatchback's 150mm. That not only works better (in theory) against potholes and speed humps but also makes easier ingress and egress compared to what I remember of the low-riding Rio in New Delhi. 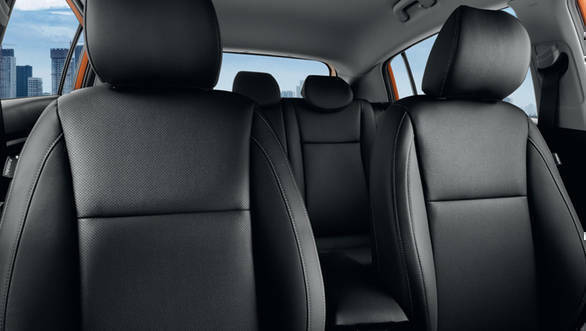 The larger body of the Rio also makes for a cabin that is roomier than most premium hatchbacks in India. Room in the rear seats is particularly good too and the seats felt quite comfortable when I have ferried around for a couple of hours. I would like rear A/C vents and a rear center armrest, though. Once in the driver's seat, the switchgear and the layout reminded me of the Elite i20 (India-spec) that I drove recently. The i20 is a class benchmark for quality but comparisons are inevitable as the materials in the Kia feel a couple of notches more premium - the plastics feel better to the touch, and small things like the flush covers for the 12V sockets, the softer damping for the switches, and the sober colours for the infotainment UI, add to the more likeable feel of the cabin. 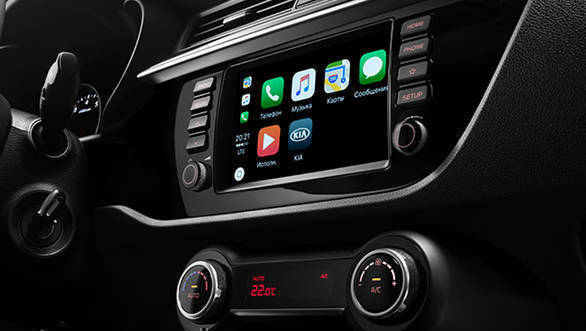 The infotainment is similar to the i20's, is compatible with Apple CarPlay and Android Auto and the audio quality from the six-speaker setup is comparable to Hyundai. 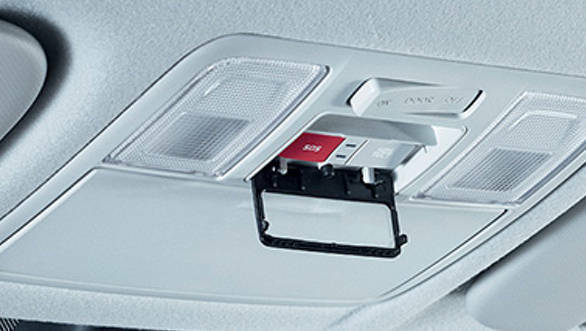 Our car only came with one USB port and more would be welcome in this day and age. Our drive was quite brief and was restricted to the outer ring road around Moscow. In that sense, the experience was quite similar to our drive in the Rio around the arrow straight roads on Delhi's outskirts. It is a pity that Moscow doesn't have many mountain roads, as I was really keen on hitting the twisties with this car and explore its sporty vibe further. The drivetrain certainly stirs up those expectations, as the 1.6l 123PS four-cylinder petrol engine is eager as always and a lot punchier than the 1.0l unit we sampled in the Rio hatchback. We have experienced the 1,6l Gamma petrol engine in the Hyundai Verna, and in the lighter Rio X-line, it's even more delightful. The six-speed automatic transmission is quite nice too and is quick to downshift when you dab the throttle even at highway speeds. It is a bit slow to get off the line, though, but its performance at city speeds is quite smooth. Unsurprisingly, the Rio X-line feels a little bit better than the hatchback that had us impressed. 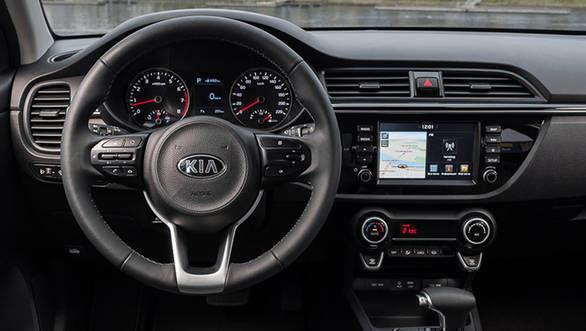 It is quite a likable package for its drivetrain refinement, space, and well-appointed cabin. It also looks sportier than its plain Jane hatchback counterpart. 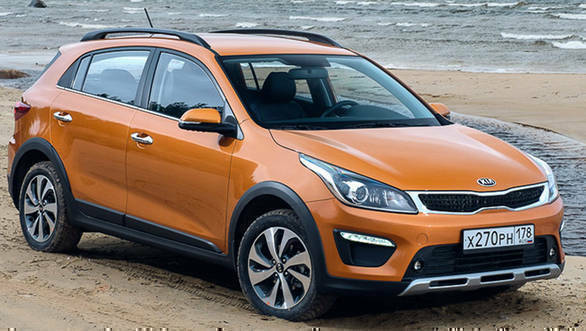 We believe that Kia is watching this space quite closely for its Indian operations. A premium hatchback is certainly on the cards then, but it will be interesting to see if the carmaker decides to go with the flow and creates a sub-four meter hatchback to keep prices and specs competitive or takes the game forward by introducing a larger and more premium alternative to the best hatchbacks currently on offer. I strongly believe that India is now ready for the latter.